Shilpa Shetty Kundra is a fitness icon for millions of Indians around the globe. 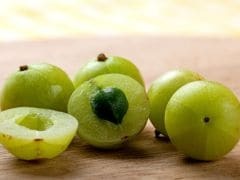 The diva has two cookbooks with healthy recipes to her credit and she also has a YouTube channel dedicated to healthy cooking techniques and low-calorie recipes. Shilpa keeps shelling out diet and fitness tips on her social media pages as well. Shilpa Shetty is that rare health freak, who manages to keep fit despite her love for food. Her 'Sunday binge' videos are widely popular among her fans and followers and she recently revealed that her binge videos got 100 million views in 2018. However, Shilpa Shetty only eats sugary and calorie-rich foods on the weekend and eats only healthy and low-calorie foods on the weekdays. Shilpa Shetty Kundra, with nine millions followers on Instagram, is a constant source of healthy food inspiration for us. She often shares pictures of her healthy weekday meals on her Instagram posts and stories. She especially loves breakfast and even when she is travelling, Shilpa makes sure she always eats a healthy breakfast. This morning as well, Shilpa Shetty shared a picture of her healthy breakfast on-the-go. The breakfast bowl had a secret ingredient that we thought was very important for a healthy mind and body. 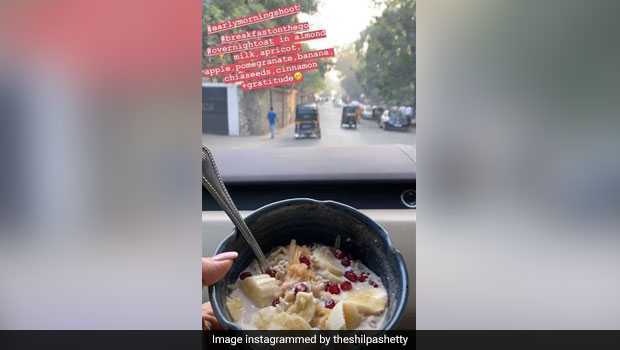 Shilpa Shetty's breakfast consists of oats overnight dipped in almond milk, with a whole range of fruits, including banana, apple, pomegranate and apricots. Shilpa also added fibre-rich chia seeds and the warming spice cinnamon to the mix, but the secret ingredient that we are referring to here is gratitude. Shilpa Shetty always promotes healthy and mindful eating and also emphasises on the need for people to live their life to the fullest. The beauty has taught us to approach diet and fitness in a more holistic manner and it's important to offer thanks for all the blessings, which also includes having the joy of food in our bellies. So, if you have been trying to keep healthy and fit by trying various diets, but nothing has worked out, you may want to try adding a bit of gratitude and mindfulness to the mix. It might just work out!